"Outer Spaces" conference series by Disruption Network Lab e.V. With: John Kiriakou (CIA anti-torture whistleblower, USA); Annie Machon (former MI5 intelligence officer, UK/BE); Annegret Falter (chair Whistleblower Netzwerk e.V., DE); Magnus Ag (senior program officer, Freemuse, DK/DE); Silvanos Mudzvova (Artist Protection Fund fellow in residency at The University of Manchester, ZWE/UK). Annie Machon (former MI5 intelligence officer, UK/BE), Silvanos Mudzvova (Artist Protection Fund fellow in residency at The University of Manchester, ZWE/UK), Magnus Ag (senior program officer, Freemuse, DK/DE). Moderated by Annegret Falter (chair Whistleblower Netzwerk e.V., DE). CIA anti-torture whistleblower John Kiriakou is considered the first US intelligence officer to reveal information about the US intelligence community’s use of torture techniques. A long-time former CIA official and case officer, John Kiriakou became an anti-torture whistleblower and activist when he told ABC News in December 2007 that the CIA was torturing Al Qaeda prisoners. Immediately after John’s interview, the Justice Department initiated a years-long investigation, determined to find something–anything–to charge him with. John eventually was charged with three counts of espionage, one count of violating the Intelligence Identities Protection Act and one count of making a false statement as a result of the 2007 ABC News interview. On February 28, 2013, after pleading guilty to violating the Intelligence Identities Protection Act, Kiriakou began serving his prison sentence. 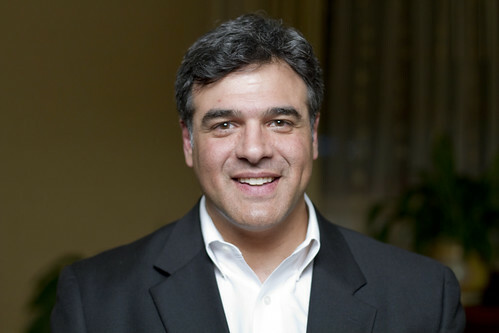 During this keynote presentation, Kiriakou will talk about the effects and costs of national security whistleblowing in the United States, as well as his book, Doing Time Like a Spy: How the CIA Taught Me to Survive and Thrive in Prison, to be released May 3, 2017 (published by Rare Bird Books, pre-order here). The book is Kiriakou’s memoir of his twenty-three months in prison. Using twenty life skills he learned in CIA operational training, he was able to keep himself safe and at the top of the prison social heap. What were improper and inappropriate manipulations of Kiriakou, through maneuvers that were designed to break him, came an end result that only made him stronger. Presented in collaboration with the Whistleblower Netzwerk e.V., this panel reflects on the political, legal, social and personal consequences of whistleblowing and truth-telling. Speakers are Annie Machon, a former intelligence officer for the UK's Security Service MI5 who helped blow the whistle on the crimes and incompetence of the British spy agencies; Silvanos Mudzvova, artist and truth-teller persecuted for staging his one-man play 'Missing Diamonds, I Need My Share', criticising Zimbabwe’s cash crisis and $15 billion USD raised from diamond sales that has gone missing; and international human rights advocate Magnus Ag, who works as senior programme officer at Freemuse, an international civil society organisation advocating and defending the right to artistic freedom worldwide. Moderated by Annegret Falter, chair of the Whistleblower Network of Germany, the panel presents personal experiences of repression and detention, and analyses the meaning of 'social agreement' in the information society, debating the legitimacy of the authority of the state over the individual, as well as discussing new forms of distributed social justice. CIA anti-torture whistleblower John Kiriakou will join the debate after the presentations. John Kiriakou is a former CIA counter-terrorism officer, a former senior investigator for the Senate Foreign Relations Committee, and a former terrorism consultant for ABC News. In 2007, he blew the whistle on the CIA's torture program in a nationally-televised interview. He is the winner of the prestigious PEN First Amendment Award and the Sam Adams Award for Integrity in Intelligence. He is the author of three books, such as The Reluctant Spy: My Secret Life in the CIA’s War on Terror (2009), Doing Time Like a Spy: How the CIA Taught Me to Survive and Thrive in Prison (May 2017), and The Convenient Terrorist: Abu Zubaydah and the Weird Wonderland of America's Secret Wars (forthcoming June 2017). Magnus Ag is a Berlin-based international human rights and freedom of expression advocate. He works at Freemuse, an international civil society organisation defending and promoting the right to artistic freedom worldwide. Prior to joining Freemuse in 2015, Magnus spent five years with the Committee to Protect Journalists in New York, most recently as the organisation’s Assistant Advocacy Director. He has led and participated in research missions to Bangladesh, Morocco, Turkey, Pakistan and Zimbabwe and advocacy missions in Ankara, Brussels, Geneva, New York, Rabat and Washington D.C. Magnus has previously worked in government for the Danish Ministry for Science, Technology and Innovation and in journalism at the Danish news agency Ritzaus Bureau, and as a researcher on a book project about the Arctic. In 2007, he developed the first social media strategy for the Mayor of Auckland in New Zealand. Silvanos Mudzvova has been involved in the struggle for greater democracy and for LGBT rights in his home country of Zimbabwe for several years. He endured harassment and beatings on a regular basis, and was openly monitored by state security agents from a car outside his home. He was hospitalised after six armed men abducted him from his home late in the evening on 13 September 2016, drove him out of the capital city of Zimbabwe and brutally tortured him. Since April 2016, Mudzvova had been performing his recent one-man play, ‘Missing Diamonds, I Need My Share’, criticising the country’s cash crisis and $15 billion USD raised from diamond sales that has gone missing. He was arrested on 13 April 2016 for his first performance of the play, which he staged in front of Parliament, and was released later that same evening with several injuries. He was also arrested at the premiere of his play ‘Final Push’, which was seen by some as an instigation to remove Mugabe’s party Zanu PF from power. Mudzvova has been awarded an Institute of International Education Artist Protection Fund Fellowship and is in residence at The University of Manchester (read more here).